BRIGHTON, Mich. - As DreamWorks announced that the 2014 Ford Mustang will be starring in their upcoming movie 'Need for Speed', it makes one reflect on the Mustang's long list of movie appearances. Over the course of five decades, the Ford Mustang has appeared on the big and small screen 3,000 times! As we reflect on a few of the bigger cameos, try not to become star-struck by the Ford Mustang, star of 3,000 movies and counting! The Mustang's first ever screen appearance was in the 1964 "Goldfinger". Sadly, the car is actually destroyed in the movie, as it is chased by James Bond driving an Aston Martin DB5. As Bond catches up to the vehicle, he slashes the Mustang's tires and destroys the body panels. In the 1968 movie, "Bullitt", Steve McQueen's character drives a Highland Green 1968 Mustang GT 390 Fastback. It's a great moment in action movie history, and one of the Mustang's most brilliant cameos, as it is considered to be one of the greatest car chases ever caught on film. In this 1974 action flick, a 1973 Mustang Mach I is the main character's vehicle of choice. This Mustang even does its own stunts as it proceeds to destroy 93 cars during a 40 minute long car chase. While it certainly wasn't pretty by the end of the scene, it definitely proved to be Built Ford Tough! In 2007, the Mustang has a brief cameo in "I Am Legend". Will Smith's character drives a red Shelby Mustang GT500 through the deserted streets of New York City after an airborne sickness has turned everyone into zombies. This scene is creepy yet cool, and we applaud Smith for sticking with the Mustang after the world ends. 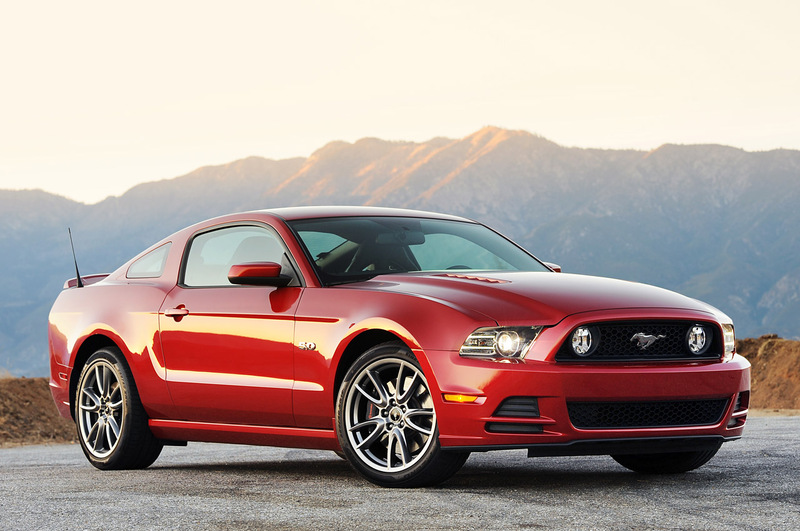 After 3,000 movies and counting, the Ford Mustang has proven itself to have all the qualities of a true movie star. If you want to take home your own part of cinema magic history, check out our 2013 Ford Mustang Brochure! You can also come visit us at our South Lyon Area Ford Dealer to take a look at one of our Certified Preowned Cars For Sale, or allow us to assist you with a Used Car Loan. Brighton Ford is located at 8240 Grand River Ave. just north of I-96 in Brighton. We are a family owned and operated business that strives for customer satisfaction. For more information on Brighton Ford visitBrightonFord.com or give us a call at (800) 836-8206.